1966 Chevy II Nova! From A Classic Muscle Car To A Modern-Day Car! 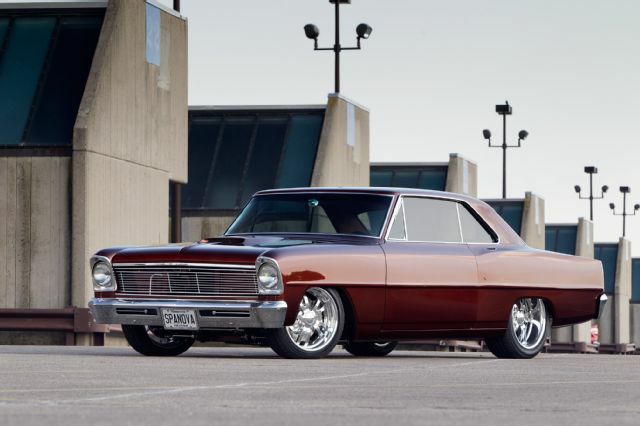 When it comes to the building of the 1966 Chevy II Nova, Steve Spang from Prior Lake, Minnesota, went for the ageless, classic muscle car look, but in spite of that the car has the accommodations of a top end modern ride. And according to him the 1966 Chevy II Nova was the perfect choice for his plan to come through. As soon as he decided for a Chevy Nova from the early series, the quest for a specimen was more easier then he expected. He got the chassis from an originally California vehicle that was later to Iowa in Des Moines in order to be repaired. As Steve says the owner of the vehicle had an incident which stopped the build. The deal was made and then Steve and Marge started the four years long work on the Nova. 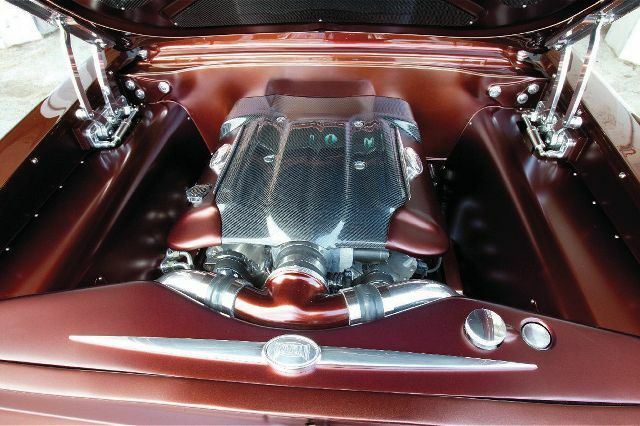 The first step was made by purchasing an old LS1, and they took it to TPIS Chaska in Minnesota to be rebuild with the only requirement to get 500 HP out of it. Then the car went in Brandon, to the arms of South Dakota`s Bowman Real Hot Rod, where it was equipped with full custom frame along with tbar K-member, and numerous details and final touches. And they did so in the time predicted and the beauty you are looking at was finalized. Check the photo gallery below! Steve planned to omit the 1966 Chevy II Nova`s good known silver, black and red. He went to Brad Smith in Tea, South Dakota, and they combined a Candy Root Bear color, which was a mixture of 7 different colors with a very high metallic accent, while they used a flat finish for the engine space and under the chassis. The final custom touch was concluded after Steve finished the door handles, a ram-air bumper system was added, the hoodscoop trick was used and the engine was set up with a kit of accessories. The cockpit was supposed to be a sensation for the eyes. 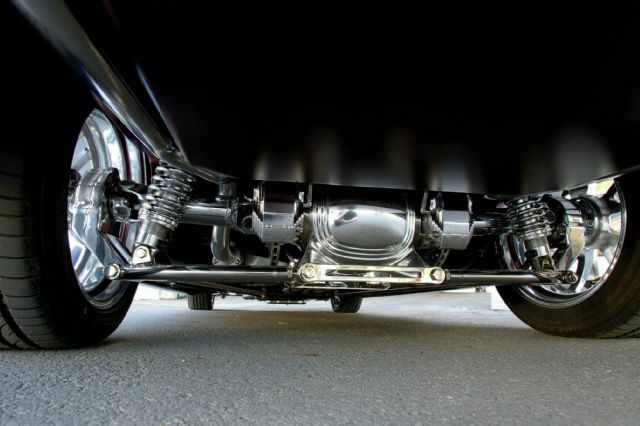 The gauges and other elements were installed also by Bowman Real Hot Rods. 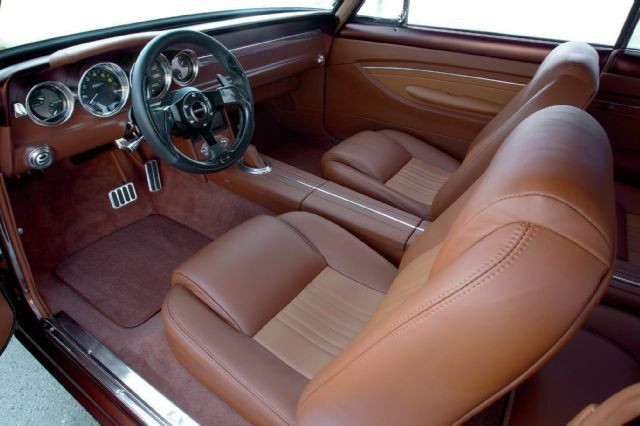 The kept some of the classic look and Greenig Auto was also used. A Start push button tops the steering wheel by Momo, Billet special parts, and Vintage Air AC unit. Upholstery was handled by Tracey Weaver in Nebraska, at the RRHR interiors in Nebraska. Today, picking a pair of good wheels is easy since the choice is huge and varies from all sorts of brands, materials, colors and so on. When the time for a wheel election came, it was decided that what this Chevrolet Nova needs is a Schott Fusions kit. At the front along with Bridgestone Potenza, were placed 17×7 and the same tires for the back but place on a 18×9 rims. To get it to stop in time on all 4 corners there are equipped Wilwood binders wit 13 and 11 inch Rotors. When we are talking about the chassis, we must mention the tbar K-Member and frame made by Bowma Real Hot Rods. Heidts Supertide is the rest of the suspension pack and also a independent setup suspension is placed in the back. The wheel-tubs were modified also to fit on the rear wheels. Finally, this Camaro is a great project as well!